tJenn blogged previously about seeing Walt Disney World decorated at Christmastime, and I must say, I LOVE this time of year. The holidays feel magical as it is, but when you add Disney to this element, the magic is EVERYWHERE! 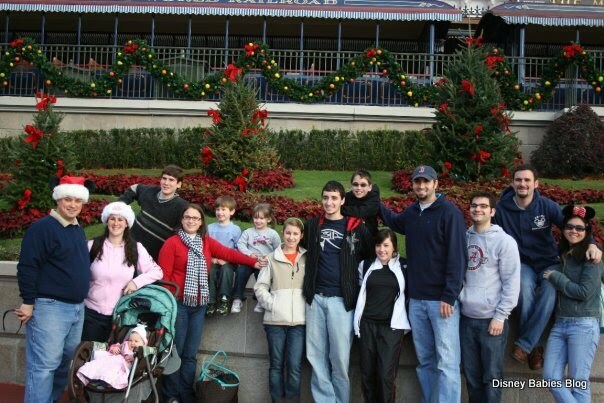 Last year as a family, we decided to book a Disney vacation together instead of presents for Christmas. Almost my entire extended family did this. 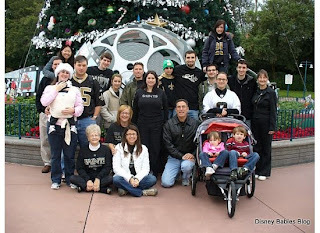 My mother has 4 sisters, and 3 of them, with their families, and my grandparents all travelled to Florida on Christmas Day! This was Piper's first trip; she was 6 months old. We drove from Louisiana, which took about 11 hours, and my immediate family and I (8 of us) rode down there in my parents' Motor Home. Boy, was that fun! We had the Pack-n-Play tied to the back bed with bungee cords, and Piper played in there a lot. She also slept back there. We had a restroom, fridge, couches, and beds to relax on. It really is the way to travel with a small baby! All of the family arrived within a few hours of each other (there were 21 of us in all), and we checked into our rental house for the week. We all shared the expense of renting a 6 bedroom house, which was okay. I would rather stay on property, but this was a vacation with the group and it was inexpensive. Each morning, we loaded up the Motor Home and drove the 5 minutes to our desired park. 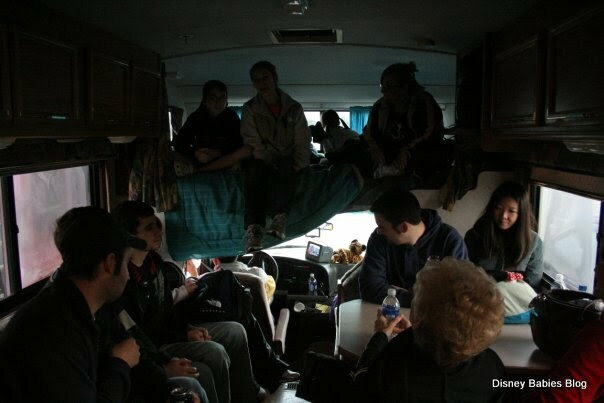 It was great having the Motor Home in the parking lot - we even napped in there one day with Piper. Anyway, back to the holidays at Disney. Walt Disney World goes ALL OUT when it comes to decorating, and Christmas might be the most beautiful I've ever seen it. 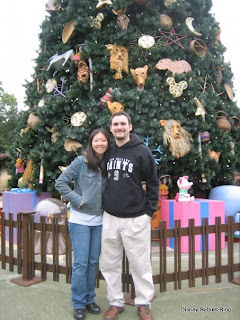 There are Christmas trees in EVERY park and hotel on property, and in EPCOT, there were trees in most of the countries as well. The trees are decorated with ornaments that represent where you are. 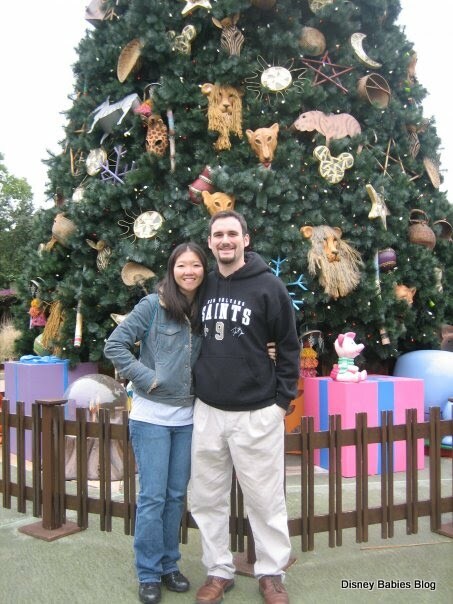 For instance, the Animal Kingdom Christmas tree had animal ornaments all over it. It definitely had an African Safari feel about it. The tree at Hollywood Studios had a film strip running underneath it, and different movie memorabilia on it. The one at EPCOT had flags of different countries on it. When we entered Magic Kingdom, the first things I noticed were the giant tree at the start of Main Street and the garland that stretched over the street. In the center of the garland was a wreath shaped like a Mickey! There were giant Toy Soldiers lining Main Street, and Christmas music filled the air. It was beautiful! 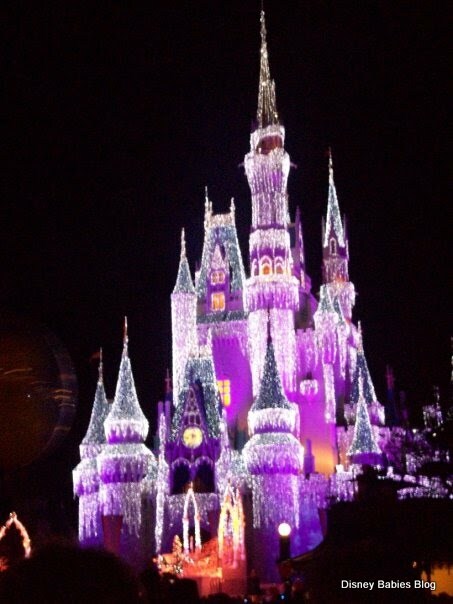 The castle was draped with icicle lights that changed color at night. 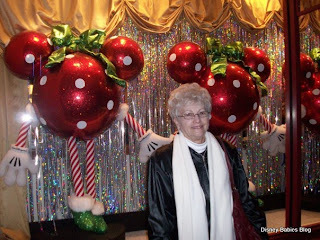 I loved going to Disney's Hollywood Studios and seeing the Osbourne Family Lights. It is overwhelming, but amazing. They even make it "snow" on the street with bubbles! It's so fun to watch the kids' reactions when that happens! MoMo at DHS in front of a decorated window display! At Epcot, there are storytellers at each country's pavillion who tell their own version of Christmas. America has Santa Claus and Mrs. Claus, Kwanzaa activities, and the story of Chanuka, Mexico has Los Tres Reyes Magos (the Three Kings), Norway tells about the Christmas gnome, Germany tells of the Nutcracker, Italy's storyteller speaks of the First Christmas and Epiphany, Morocco celebrated Ramadan, France has Pere Noel, and England has Father Christmas! My parents enjoyed walking to each country and watching these live shows. At the Grand Floridian, there is an amazing gingerbread house that is practically life size! It is in their lobby and is awesome to see. You can smell the gingerbread when you walk in, and the store there sells gingerbread all season! David and I wore our Disney Santa hats all over Magic Kingdom! Here is our entire group (minus PaPa who was napping!) at DHS! We'll be going next year in December, but there will only be 11 of us. You are lucky to have such a large family to travel with! I am looking forward to seeing all the parks have to offer. We will also be celebrating my daughter's 4th birthday while we are. We usually fly to Orlando, but a motor home may be our way to go if flight prices keep going up! Great article! I love the idea of forsaking gifts (who needs shopping anyways?!) 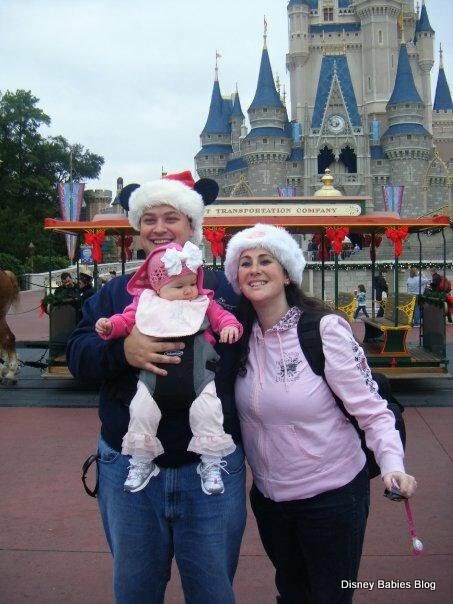 and just going to Disney as a family! 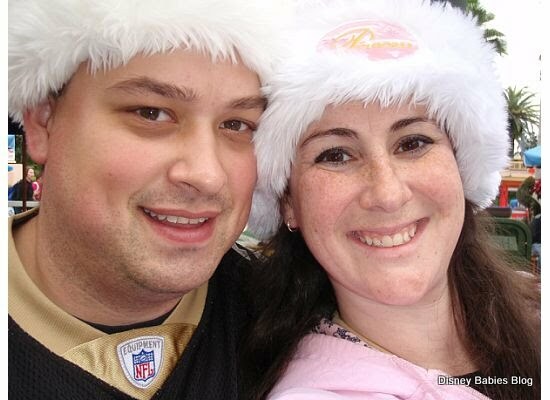 What a great post!I love hearing about Christmas in WDW!